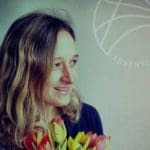 In autumn, we run our Ayurveda for autumn retreats in Somerset and we tailor the food to suit the season with the help of our Ayurvedic practitioners’ advice on seasonal diet. 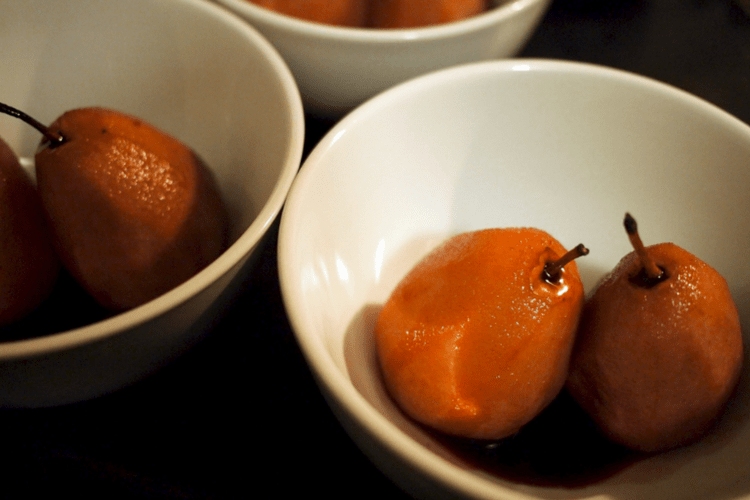 Here is a perfect autumnal dessert to warm the soul and nourish the body, and it’s delicious too! Peel each pear, leaving stalk and cut a thin slice off base so it stands up. Place in a saucepan with an inch of water and bring to simmer. Add dates, orange juice, zest, syrup, cinnamon and ginger and simmer until pears are tender (about 12 minutes). Remove pears and place on serving plates. 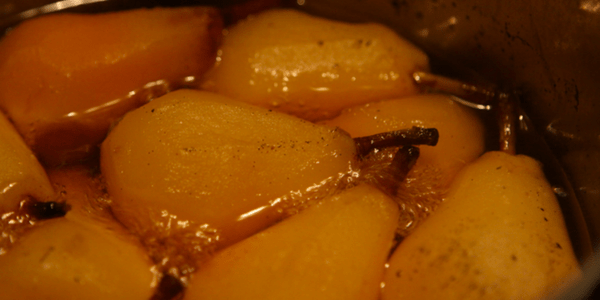 Continue to simmer liquid in the pan, stirring all the time until it thickens enough to spoon glaze over pears. Garnish with coconut to serve. For Kapha in moderation! Thanks to Joanna Webber for this recipe.